When should you email and when should you call, fax, or just show up? What is the crucial—and most often overlooked—line in an email? What is the best strategy when you send (in anger or error) a potentially career-ending electronic bombshell? Enter Send. Whether you email just a little or never stop, use a desktop or a handheld, here, at last, is an authoritative and delightful book that shows how to write the perfect email—at work, at school, or anywhere. Send also points out the numerous (but not always obvious) times when email can be the worst option and might land you in hot water (or even in jail!). The secret is, of course, to think before you click. 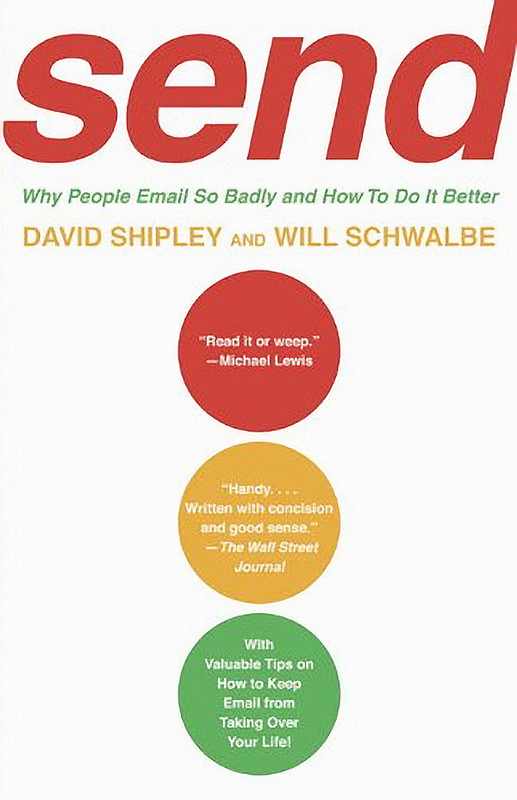 Send is nothing short of a survival guide for the digital age—wise, brimming with good humor and filled with helpful lessons from the authors’ own email experiences (and mistakes). In short: absolutely e-ssential.